Bison producers traveled as far as from the state of Washington to learn the latest information about bison production during the meeting. Bison producers learned everything from how to participate in farmer’s markets and promote their product to bison nutrition and cow calf operations during The Bison Advantage conference in Cheyenne, Wyo., recently. 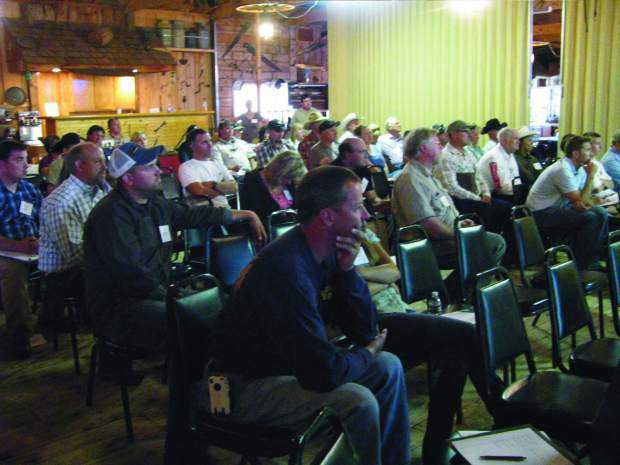 Nearly 100 producers attended the two-day conference at the Terry Bison Ranch south of Cheyenne. Since a buffalo cow can live up to 30 years or more, it is important to select an animal with good conformation, according to Boyd Meyer of Cold Creek Buffalo, who discussed cow-calf economics of bison. He started in the bison business part-time in 2002, and moved into the business full-time in 2005, when he had the opportunity to lease the Terry Bison Ranch and purchase the herd. Today, Meyer runs around 800 mother cows, and finishes 3,000 to 3,500 bison each year in a feedlot at the ranch. Most of the finished bison are sold to Rocky Mountain Natural Meats in Denver, Colo. “The opportunities have been rewarding for me in the bison business,” Meyer explained of his operation. Meyer selects heifers that will mature around 1,100 pounds. “I feel the most efficient cows are the medium frame, high capacity cows,” he said. “There are some 1,300 to 1,500 pound cows out there that may also produce, but I don’t feel they are as feed efficient,” he explained. 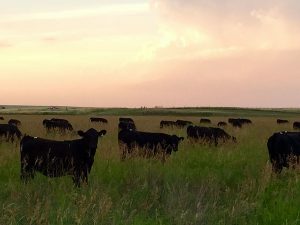 The bison producer said he likes to wean his calf crop in January, when its colder, to avoid the hot-cold spell the area has in November. Once weaned, the heifers are placed on a high fiber weaning ration consisting of soy hull pellets, free choice grass or millet hay, with some corn and wet distillers grain. After 90 days on this weaning ration, Meyer likes to select his replacement heifers. “I want the heifers I keep to have gained at least 195 pounds on the weaning ration,” he explained. He also looks at conformation of the heifers, selecting ones that are medium frame with good length, have good feet and legs, show depth and thickness from front to back, have a feminine head and features, and good bone and structure. All the cows and heifers on the ranch are vaccinated with Virashield 6, and 7-way every other year. He also worms the cows and heifers to eliminate any parasites. Meyer cautions other producers that pour-on wormers are inadequate on bison because of their thick hair follicles, and the amount of dirt in the coat. “If you use a pour-on, most of it will just runoff,” he said. Producers can use a feed through, but in his experience, the animals carrying the biggest parasite load will be weaker and won’t fight their way to the bunk. “I’ve found that Ivomec injectible works best, but you have to have a chute to work the buffalo,” he said. The female bison are pregnancy checked, and have to come in open twice before they are culled, he explained. “If you cull the first time they are open, you will have a hard time getting them to the 15-year average — especially during a year like this,” he explained. “In my operation, I don’t feel like it is cost-effective to cull them the first time they are open because of the cost to develop heifers,” he said. If a heifer or cow is open, Meyer likes to check them for body condition, injuries, and make sure they have weaned a calf. If the animal meets all this criteria, he notches the eartag to indicate she was open, and lets her out of the chute. If she comes in open again, she is culled, he said. Meyer likes to performance test the bulls after they are weaned in March. They are placed on a feed test until fall, where he likes to see them gain 2.5-3 pounds per day. The yearling bulls average 750-900 pounds, and 2-year-olds average 1,000 to 1,200 pounds. An ultrasound technician also collects carcass information on the bulls, including marbling. “It took the ultrasound technician a while to understand that we don’t want marbling in buffalo meat,” he explained. “We don’t want to produce a steak that goes into the meat case and looks like a beef steak,” he explained. Sandy Limpert of Slim Buttes Buffalo discussed his cow calf buffalo operation in Harding County, South Dakota. Limpert runs nearly 1,000 bison cows and 300 grass yearlings on his ranch. 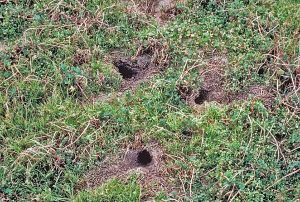 “We are currently practicing planned grazing, and have dramatically improved out range conditions as well as our carrying capacity,” he told the group. Limpert rotates the buffalo through several pastures throughout the year, and supplements them with hay and mineral as needed. The system has worked well for the family, who was traditionally a beef cow/calf operation. 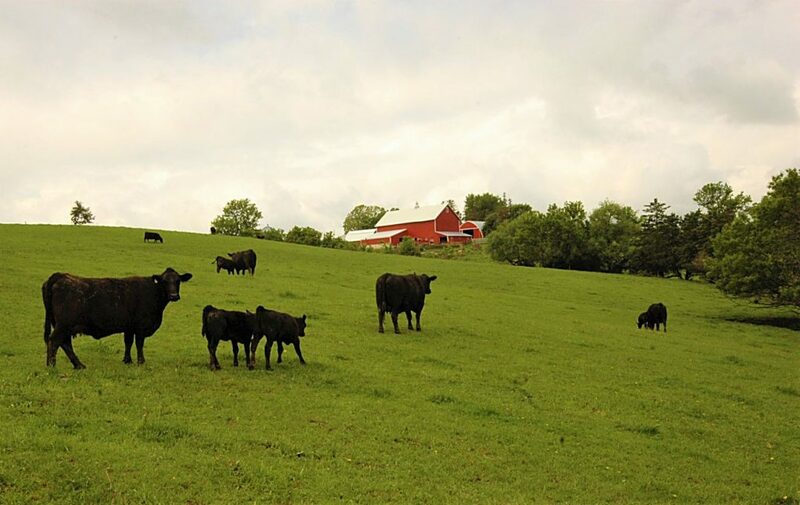 “Historically, the stocking rate on our ranch was 30 acres per beef cow,” he explained. “The stocking rate for a buffalo cow is 25 acres,” he said. “They are much more efficient. The winter feeding costs on our buffalo cow herd is approximately half the cost of a beef herd. This is due to the fact that a bison’s metabolism slows down during the winter months,” he explained. Despite the efficiency of bison, Limpert cautioned that buffalo can be more difficult to work with. “You have to learn how to work with the buffalo, instead of against them,” he said. One step toward that is developing facilities that the buffalo will easily funnel into. “There is definitely a learning curve to working with buffalo,” he said. 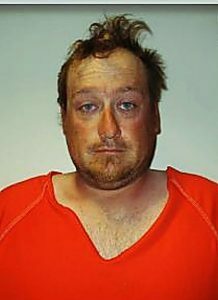 During the meeting, John Russell of High Country Bison spoke of how he broke into farmers markets selling bison meat he had raised himself. Russell encouraged other producers considering getting into selling at farmers markets to have the bison processed at USDA certified plants. If a particular cut doesn’t sell, Russell said his wife develops a new recipe for it. Sometimes, they also have a sale for some of the cuts of meat, like strip steaks, that aren’t selling as well. Russell said farmers markets can be tough to break into, but meeting customers one on one and selling directly to them is a huge advantage to his operation, he said.